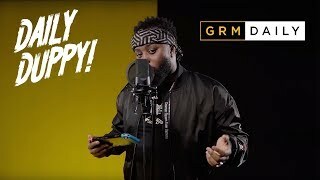 Mist returns after taking a holiday to work on his craft, and in this interview with Charlie Sloth he talks about his forthcoming album and more. Firstly speaking of his time abroad, Mist shares that he had the opportunity to go skydiving, and, although he was frightened, he took the risk and had a great experience. Then, he moves on to talk about his forthcoming album, sharing that there will be some big UK artist’s featured on the project; as well as speaking on how his latest video, Can’t Stop Clocks, came together. Mist also talks about his Mrs and any future plans of getting married, plus more. Check out the interview in the video above, and share your thoughts with us on Twitter.